More defined eyes can be achieved with Permanent Eyeliner. Proper placement of a decorative eyeliner can create the illusion of an eyelift and make the eyes appear larger, brighter, and more beautiful. 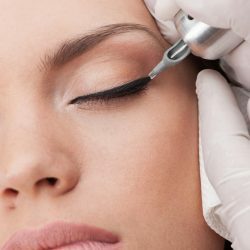 Permanent eyeliner has many advantages, including improvement of eye shape and definition, no smeared or runny eyeliner, custom blended color, and a thicker lash base, which creates the illusion of fuller eyelashes. At Lash Envy Studios, we use medical grade and hypo-allergenic pigments. Not all lips are perfectly shaped, but this can be corrected with permanent makeup through the use of a natural, custom-blended color. Irregular lip lines can be redefined with a liner procedure. A full-color procedure, on the other hand, can restore faded lips, giving them a fresher and younger appearance. 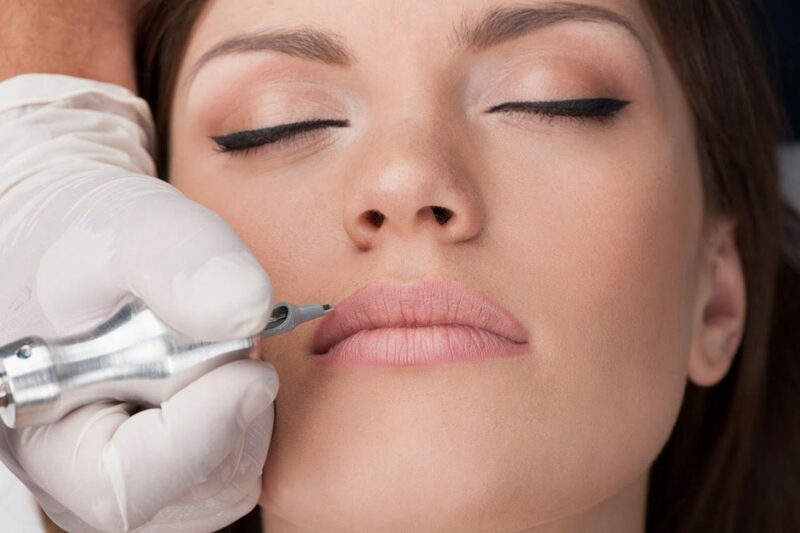 Permanent cosmetics can make thin lips fuller and drooping corners appear lifted, and having correctly contoured and defined lips creates a youthful appearance. Please plan to arrive at the studio 10 minutes prior to your appointment to facilitate our check-in process. Timing – A typical permanent makeup appointment lasts two hours. Consultation – Our standard appointment begins with a consultation. 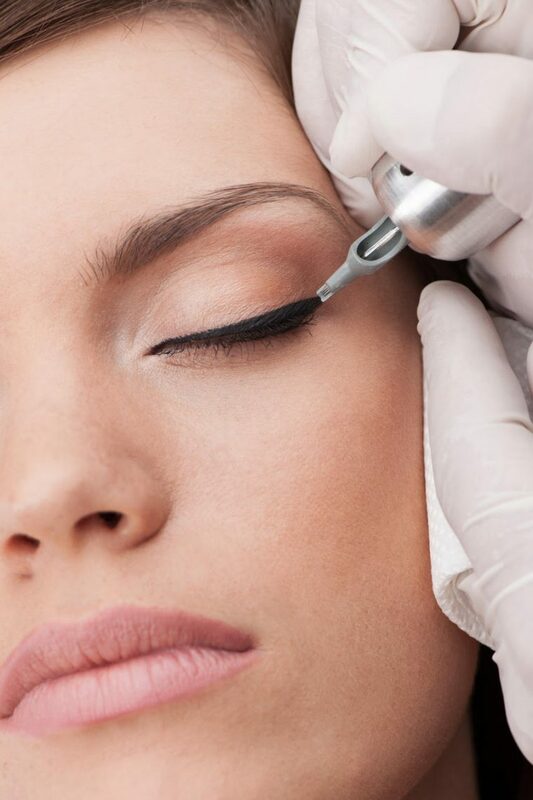 We will thoroughly explain the permanent makeup process to you, answering any questions that you may have. We will also check your medical history to assess your suitability for the treatment. 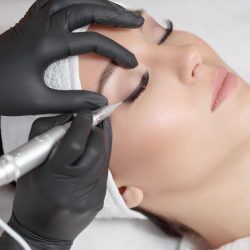 Our permanent makeup artist will discuss the results you hope to achieve and explain how permanent makeup can be used to enhance your features, advising you of the best procedural choices, shapes, and colors to suit your natural appearance. 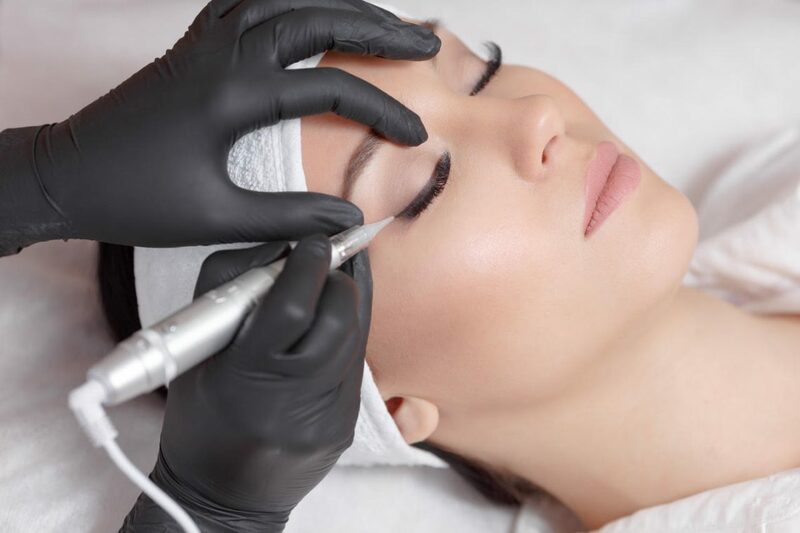 Numbing – Before your permanent makeup procedure, we will use a topical anesthetic to numb the area, ensuring you remain as comfortable as possible throughout the treatment. Design – Based on your goals and our recommendations, we will custom blend a color to perfectly compliment your hair, skin, and eye color. We will then design the enhancement, first sketching it on your skin with a traditional cosmetic pencil. This gives you the opportunity to visualize what the enhancement will look like when completed and ensure that you are completely happy with the design. Touch-up – A touch-up treatment is recommended four to six weeks after your initial procedure. At this session, we will make any needed adjustments or additions to your permanent cosmetic enhancement, ensuring perfect results.